CIRCLE Entertainment has revealed that it is bringing EasyTech's World Conqueror X to the Switch eShop next month. The latest entry in the long-running wargame series takes the action to World War II. It will include support for touch controls in handheld mode, in addition to controller support when playing in desktop or TV mode. 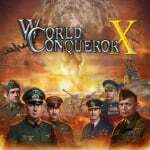 World Conqueror X will arrive on the Nintendo Switch eShop on 8th March in North America, Europe, Australia and New Zealand. It will cost $9.99 USD / €9.99 / £8.99 at launch, but if you pre-order on 1st March, your loyalty will be rewarded with a 10 percent discount. Let us know if you'll be rolling onto the battlefield with World Conqueror X by posting a comment below. This sounds like fun! Glad to see a company not afraid to provide both sides of this historic part of world history. Turn based WW2....yes!!! Im going to research this World Conquerer X series and if it's good, I'll be buying on day 1. @uhhhhhhhh Just play as a spy who infiltrated the Nazis and take them down from the inside! Well, I'm not going all in on a single screenshot & description, but the price is right and it might be a good time. Will keep this on my radar. @uhhhhhhhh On the SNES game P.T.O., you could play as either the Allies or Japan in winning the Pacific War. Playing as Japan was interesting, and extremely difficult due to their lack of resources, especially post 1942. I'd imagine playing as Germany would be similar. @uhhhhhhhh Well, if you kill people in another games, you are a hypocrite. @uhhhhhhhh I hope this is satire and not a genuinely stupid reply. Hard to figure out if this series is actually any good. I'm into wargames on PC and tabletop, but I'm going to have to wait for some actual wargamers' reviews on this one. @uhhhhhhhh Your trolling us right?Right? Grew up with Age of Empires, Colonization and the like. Have been looking forward to some turn-based strategy games to show up on the Switch. Day 1 purchase for me! @uhhhhhhhh You scared the Nazis. @uhhhhhhhh video games and modes have explored the Villain Protagonist trope for ages, especially in history-based strategies like this. Just look at Koei's simulation series - Operation Europe happened all the way back in Gen 4, and there were similar games about Genghis Khan whose megalomaniac ambitions and conquests are proverbial enough as well. And games that came afterwards... forget GTA and Manhunt - "Terrorists win!" in the post-9/11 world, anyone? ¯(ツ)/¯ There are even titles that allow to cause purposeful worldwide epidemics, and Switch is soon getting a couple games where you play as undead and hunt humans. Outside the explicitly fantasy situations, such perspective have their own value, including even the mere "know thy enemy" aspect at times if you will. XD All as long as the player retains self-awareness and own moral values instead of blindly replacing them with the controlled character's - but then again, you'd think that should be THE basic psychological competence requirement when consuming any kind of Fiction, not just video games. Another boardgame... I rather play Monopoly than Risk. "World War II cost the lives of millions, but this game will only set you back $9.99 USD / €9.99 / £8.99 at launch." @damo I would appreciate it if you would edit that statement. Many, many members of my family lost their lives in WWII and I can't be the only one here. It's not just something for the history books, it's something the affected real people just one lifetime ago. These titles are nauseating. Time to predict the next one! "Alteric will alter your Switch next month" - terrible, so that will probably be it. @damo this seems a bit insensitive. I have family members who suffered unspeakable things during WWII...but hey, this game will just cost me a bit of change. That's an unspeakably crass and abhorrent thing to write. You've just lost a long time reader. I’m not usually one to get outraged, but I must admit, I was shocked by that unnecessary attempt at humour too. I’m surprised it is still up and hasn’t been edited. @noobish_hat Ah, fair enough. Now that you mention it, I have noted the lack of new articles over the weekends. Makes sense. @SonOfVon Civilization? On Switch? What are you smoking? @MFD Civilization Revolution came out on DS. What’s so hard to believe? @RunninBlue I've never heard of that one before, but as I said to Son above, it's probably due to touch-screen and probably a once in a go thing. DS had a Settlers game, but there was never a follow-up. Some genres just work better on PC/are exclusive to it, and games like RTS and I believe CIV is there as well, are among those. 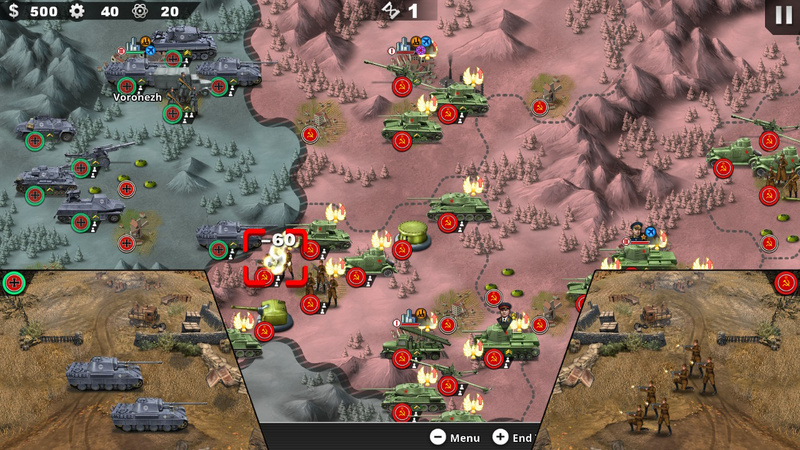 @uhhhhhhhh Even worse, the screenshot shows the Eastern Front. No matter which side you choose you're playing the bad guy. @noobish_hat There was a Russian comic with Stalin and Hitler as wizards, having a magic duel. That would certainly spice things up! As you can see, the line has been edited. It wasn't meant as offensive in any way, just a spot of zany British humour - I can't even take credit for the original joke as I stole it from the vastly underrated Scottish comedy sketch show Absolutely. I can only apologise for any offense it may have caused. @noobish_hat @RunninBlue Regarding the lack of updates at the weekend, rather than indulging in weekend-long benders we actually (shock horror) like to wind down and spend some time with our families, as most full time workers do. The last time I bought into the pre-order discount I was let down with a very bland game. I will wait and see if it gets a good review. @Damo thank you very much. I love Nintendolife because you guys respond to the community. @Damo Thank you Damien, I really appreciate it. @Damo Yeah, that’s cool. I get where it came from, just stuck out as odd is all. I understand their was no malicious intent. Great response. Intelligent and... well put at that.